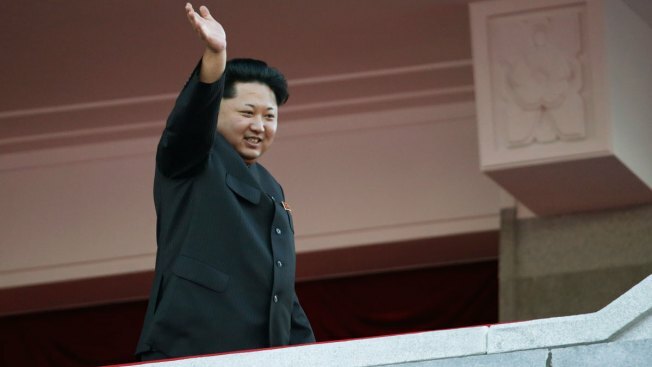 File photo: North Korean leader Kim Jong Un waves at a parade in Pyongyang, North Korea, Saturday, Oct. 10, 2015. North Korea showed interest in discussing a peace treaty with the United States, but pulled away after the U.S. insisted denuclearization be part of the negotiations, the White House said Monday. "There was interest expressed by the North Koreans in discussing a peace treaty," Spokesman Josh Earnest told a news conference. "We considered their proposal, but also made clear that denuclearization had to be part of any discussions. The truth is that the North Koreans rejected that response." The U.S. considered a proposal from the North Korea, which has long sought a peace treaty with Washington, said Earnest. The discussions took place before North Korea's recent nuclear test and rocket launch that have further strained relations.